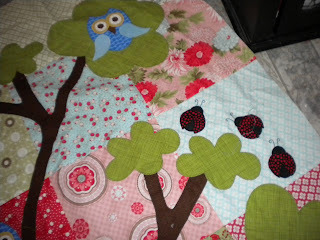 I am on a bit of a roll getting projects finished this year which is really exciting. This is another Christmas one I love making Christmas things. Not sure where I will be hanging it. Can you guess who designed this pattern? Of course it is the talented Natalie Lymer of Cinderberry Stitches. This pattern is called Tis the Season. Natalie's drawings are just so cute and her choice in thread colour is great. It is not traditional Christmas colours but it is nice to have something different. 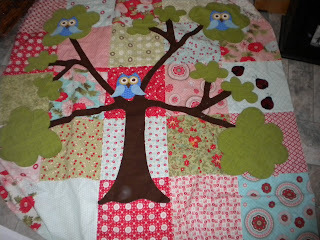 I have also finished the top of my Woodland Magic quilt designed by my other favourite Natalie - Natalie Ross. I have used the Bliss range of fabrics (again). I still love this range of fabric and Bonnie and Camille are working on their next range of fabric called Ruby to see a seek peak visit Camille's blog just love her red polka dot chair. Just love the lady bugs. 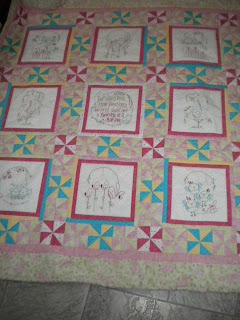 The full quilt. 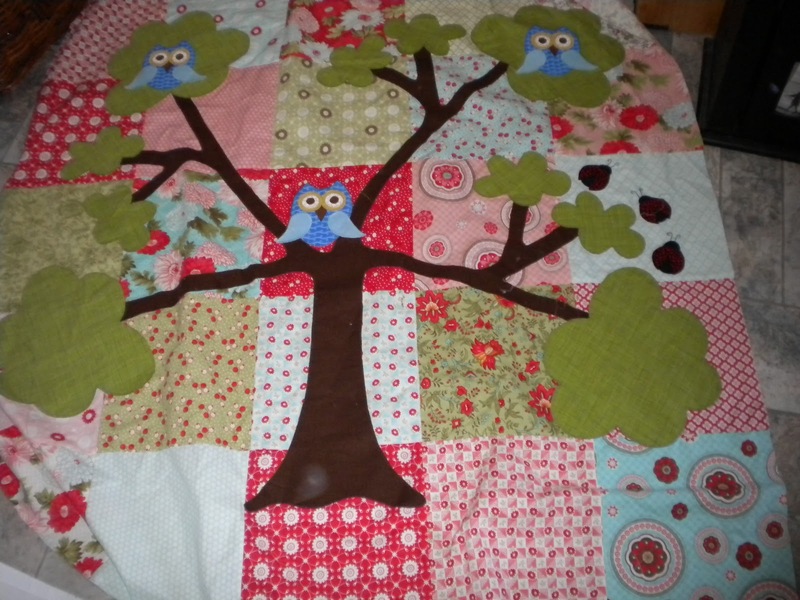 This pattern also comes with a bag which I intend to make as well. 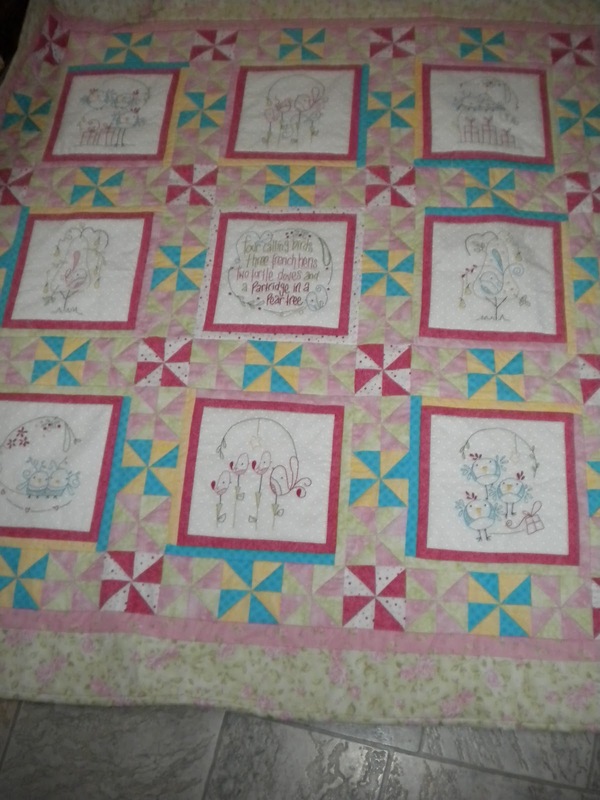 I have some fabric for the backing just need wading and deciding whether I am capable of quilting it myself not quite sure on what to do may leave it and get professionally quilted will have a think about it.